I used the same set that I used last week, just used the other witch that is on that set. They are both ADORABLE!!! Ok so I used Stamp AnnieThing! 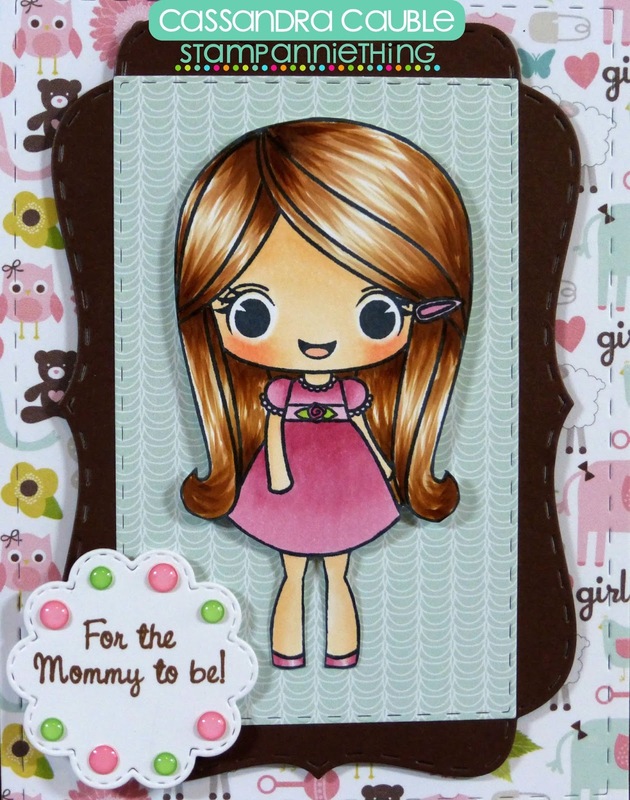 I used the Scallop Slider & Topper Die for two of my layers and the Star Dies for my stars. Hello Everyone! 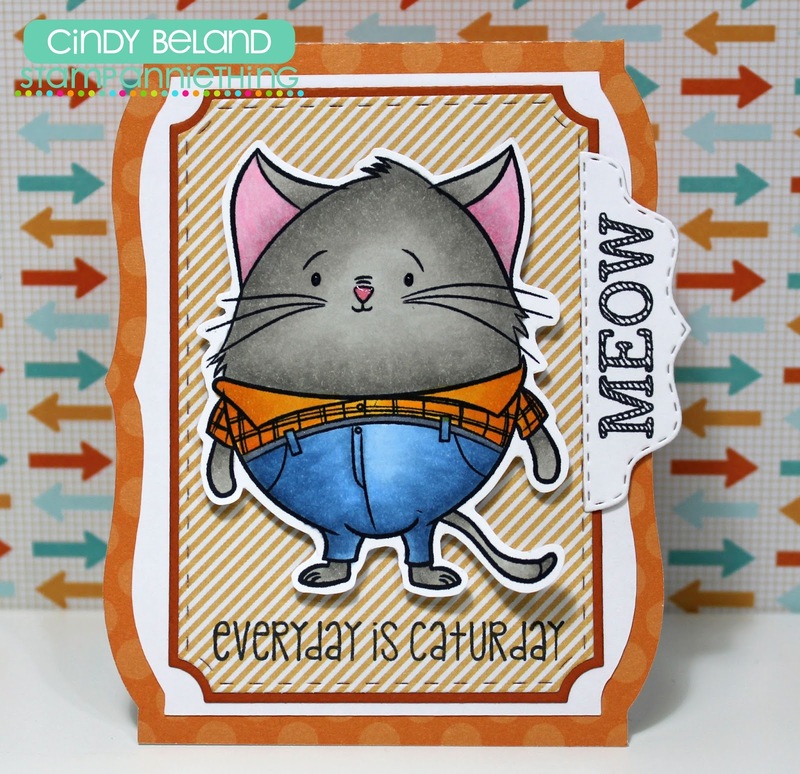 Mel from Doxie Mel Designs here with you today with a new card to share. 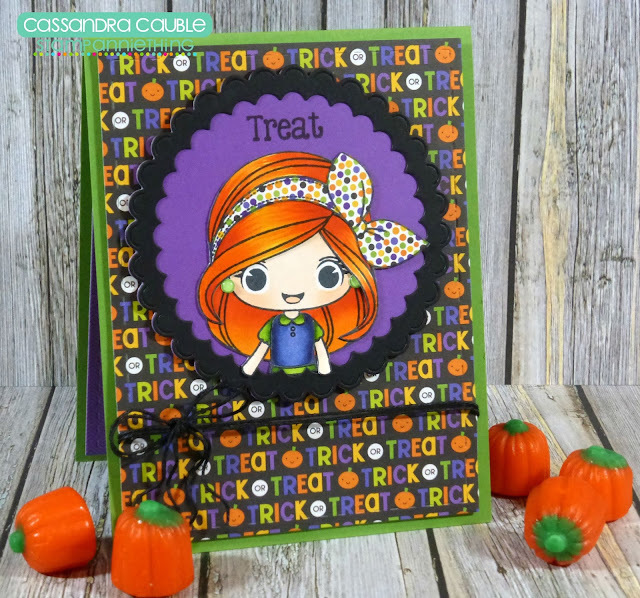 I picked out Halloween papers from Doodlebug's Ghouls and Goodies. This sweet girl is "Annie" and I colored her dress to pickup the colors of the paper. 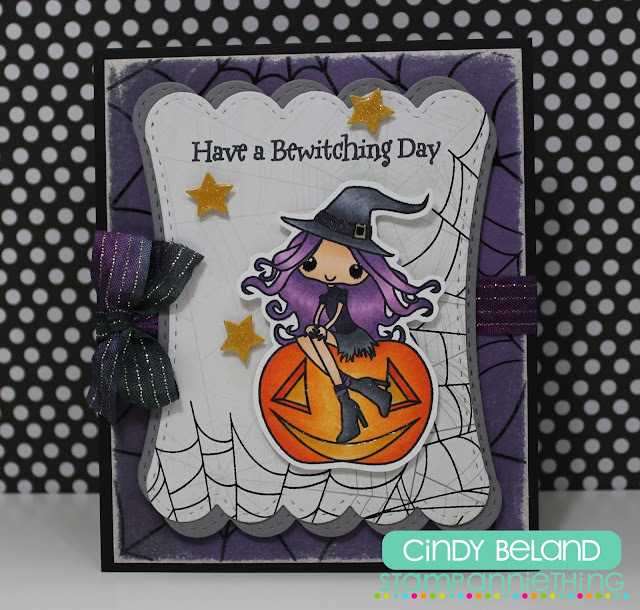 I love this subtle look on this Halloween Card. She is colored with Copic Markers. Hello everyone! It's Cassandra from Creating with Color by Cassandra. 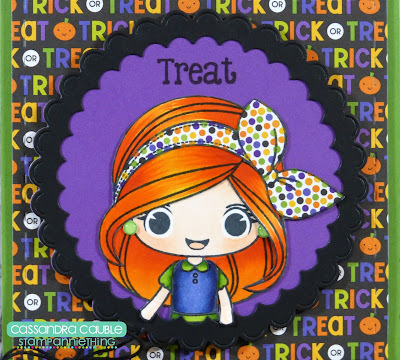 And today I have a fun little trick or treat card for you. I am soooo in the mood for Fall! And by the way...it's not my first set of Halloween candy...LOL! The black and the green cardstock are from Papertrey Ink. 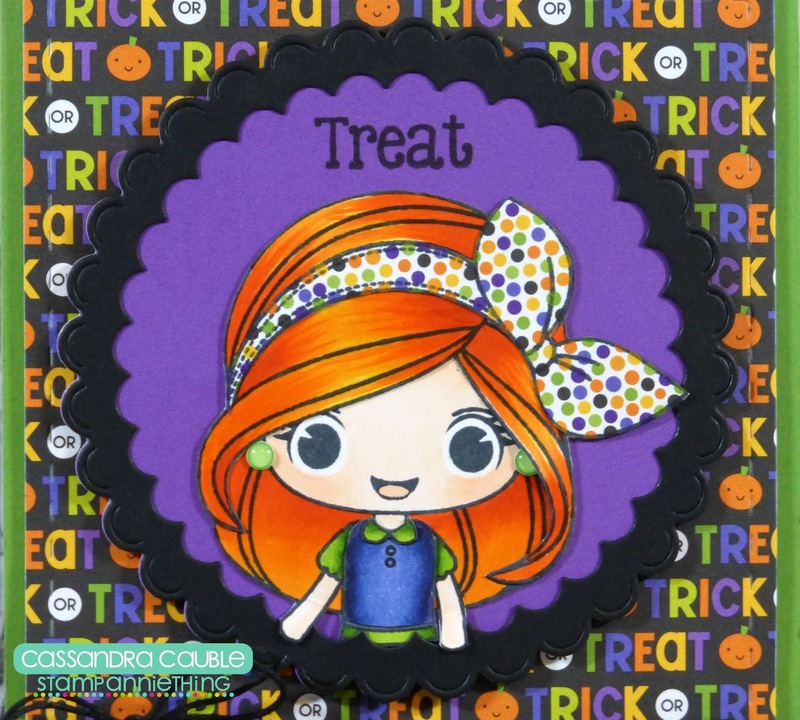 The fun patterned paper and the purple paper are from the Doodlebug Design ~ Ghouls & Goodies collection. 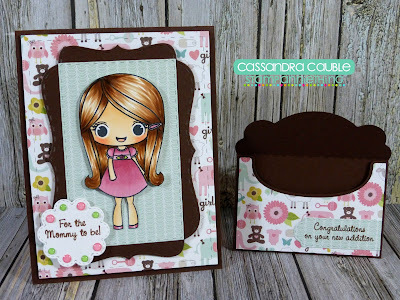 I cut the background mat using the Jaded Blossom ~ Card Mat Dies. 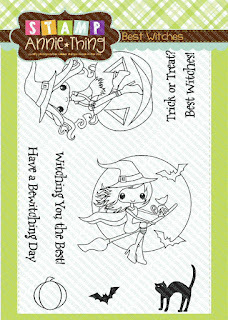 This is the cutie patootie Stamp Anniething ~ Diana : Let's Do Lunch. I colored her in with Copic Sketch Markers. And to add a little dimension, I also fussy cut different layers - like the bow, her top layer of hair and her shirt and collar. I also added some fun little epoxy dots for earrings. Hee! The sentiment is from the Jaded Blossom ~ Halloween Treats. And I cut the scallop circles using the Jaded Blossom ~ Scallop Circle Dies. Hi everyone! 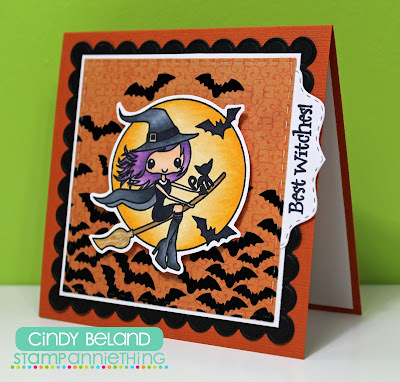 This is GiGi from The Cricut Bug and I have a sweet card to share. 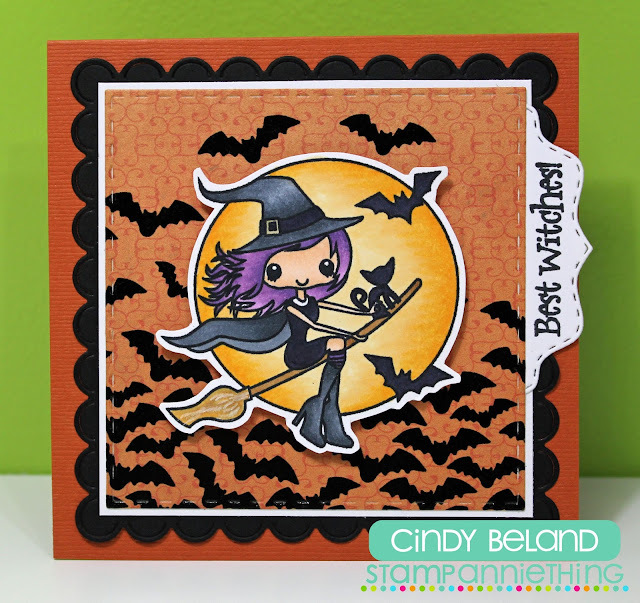 I used the Melanie-Need A Hug stamp set on this card. I started this card with a standard A2 card base. I added the background mats and used my sewing machine to stitch around the edges. I stamped and colored Melanie with Copic markers and added her on a mat. 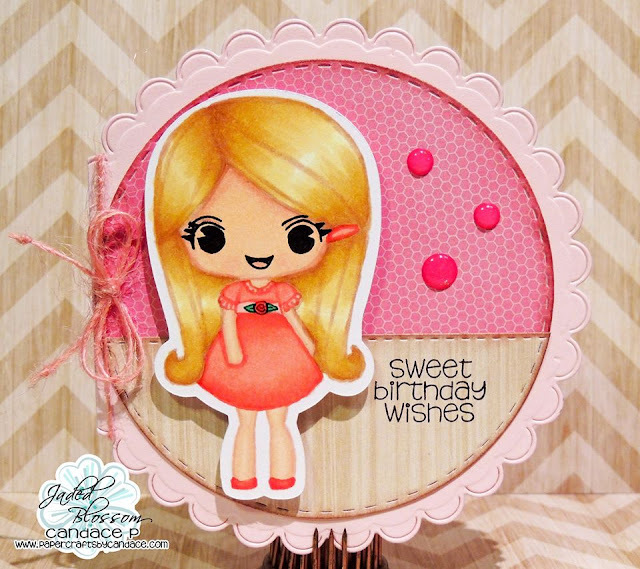 I stamped the sentiment from the Jaded Blossom Sweet Travels stamp set onto a tag cut with the Label Dies. To finish, I added some black arrows on the top and bottom cut from the Layered Frame and Journal Die. 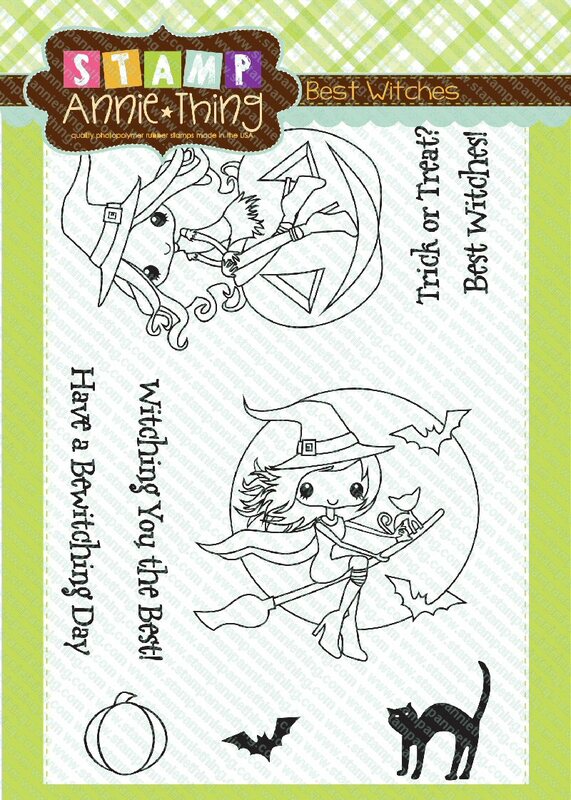 witch it just TOO CUTE and so much fun to color. layers and the Label Dies to add my sentiment on. Hello! 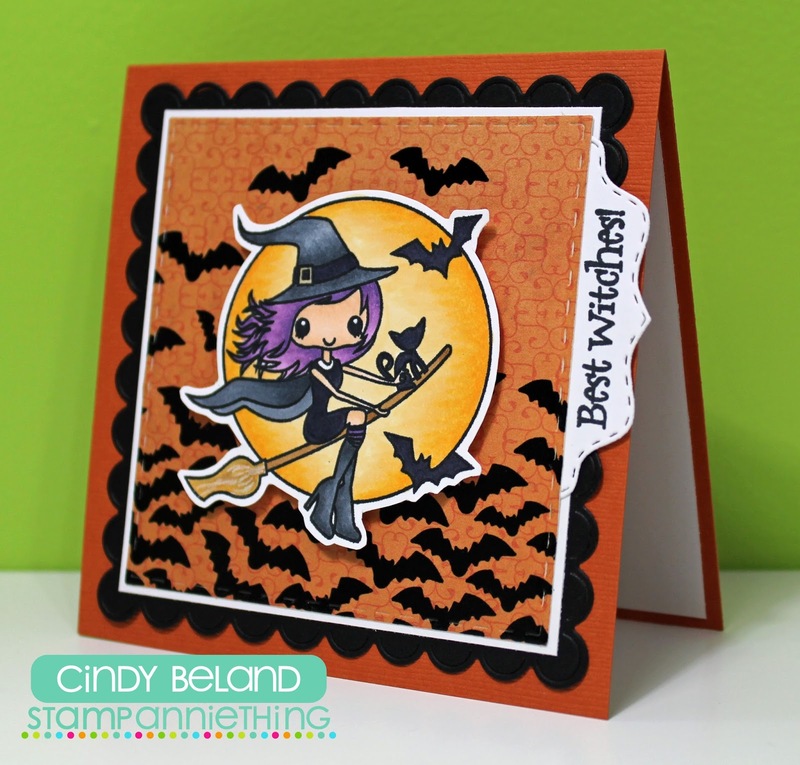 Mel from Doxie Mel Designs with a new card for you. This stamp is from our last release, Party Time Jemma. 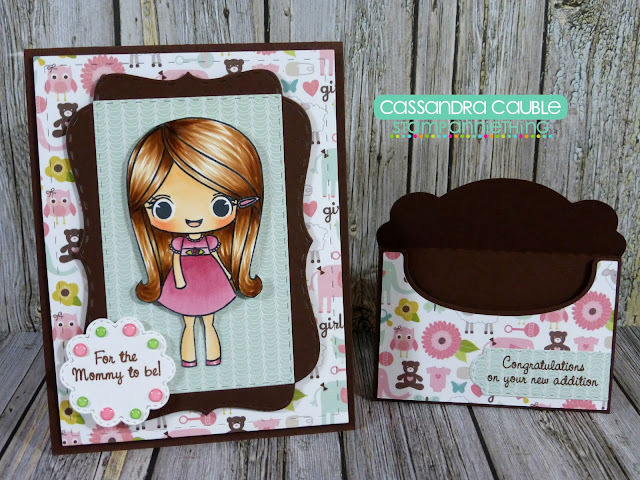 She is colored with Copic Markers and the card base is created with dies from Jaded Blossom. 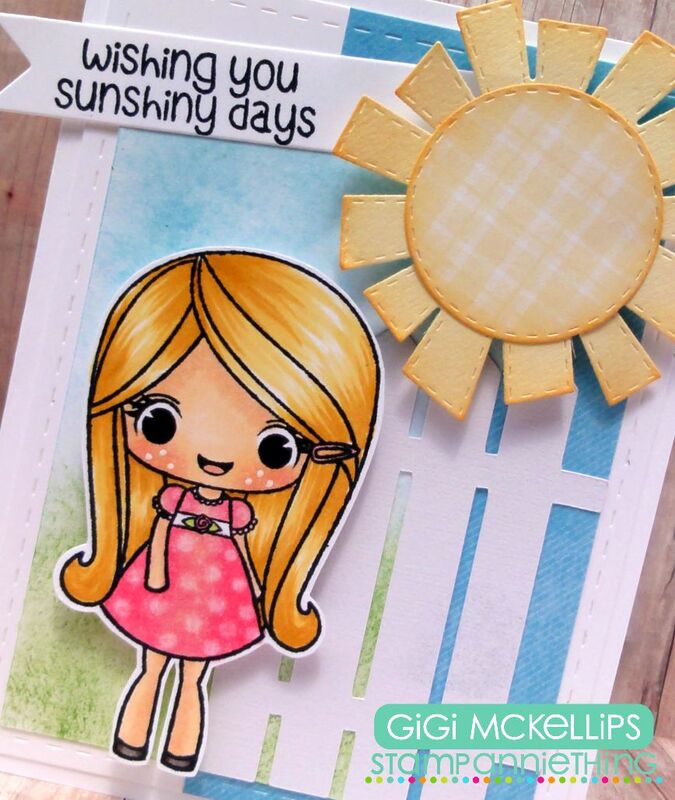 This yummy pattern paper is called "Hello Sunshine" from Pink Paislee. For the Mommy to Be! Hello everyone! It's Cassandra from Creating with Color by Cassandra. And today I have a fun baby shower card and gift card set. Isn't she sweet? The solid colors of cardstock are from Papertrey Ink. And the fun patterned papers are from the Echo Park ~ Bundle of Joy collection. 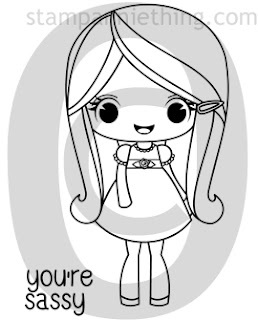 This little sweetie is the Stamp Anniething ~ Melanie : You're Sassy. I colored her in with Copic Sketch Markers. I cut the background mat with the Jaded Blossom ~ Card Mat Dies. The brown piece is cut with the Jaded Blossom ~ Fancy Topper Die. The light blue piece is cut with the Jaded Blossom ~ Goody Bag Die. And the scallop shape is cut with the Jaded Blossom ~ Spring Dies. The sentiment is from the Jaded Blossom ~ Sweet Baby. 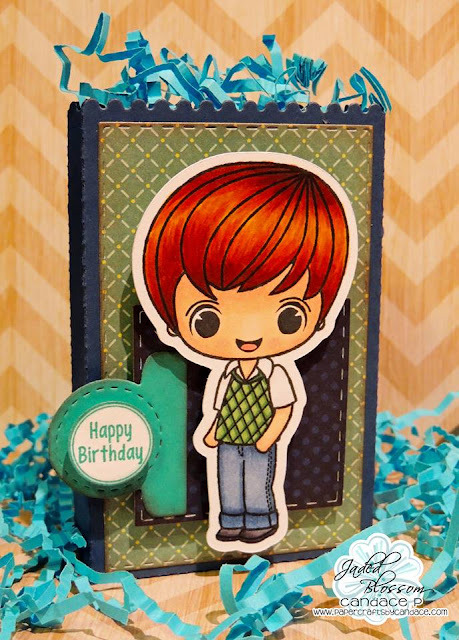 For the gift card, I used the SVG Cutting Files ~ Mini Gift Card Envelope Fold Over Holder. The label is cut with the Jaded Blossom ~ Mini Tag Dies 2. And the sentiment is also from the Jaded Blossom ~ Sweet Baby. I used the NEW Melanie-You're Sassy stamp set on this card. 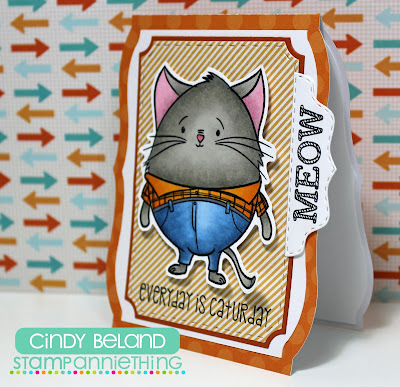 I cut the smaller mat using the Goody Bag Die and inked it with some Tim Holtz Distress Inks. I cut the fence piece from the SVG Cutting File Fence Platform Box and added it to the side over the mat. 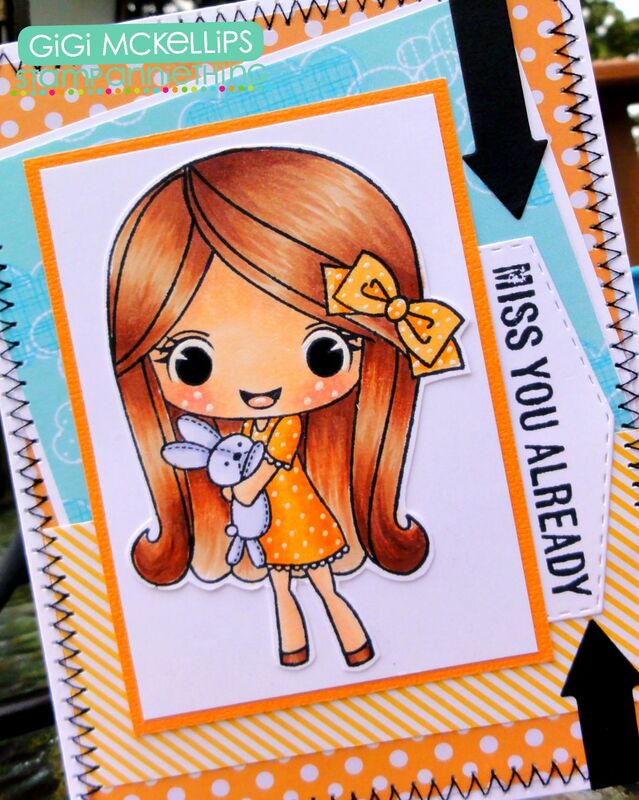 I stamped and colored Melanie with Copic Markers and pop dotted he onto the card. 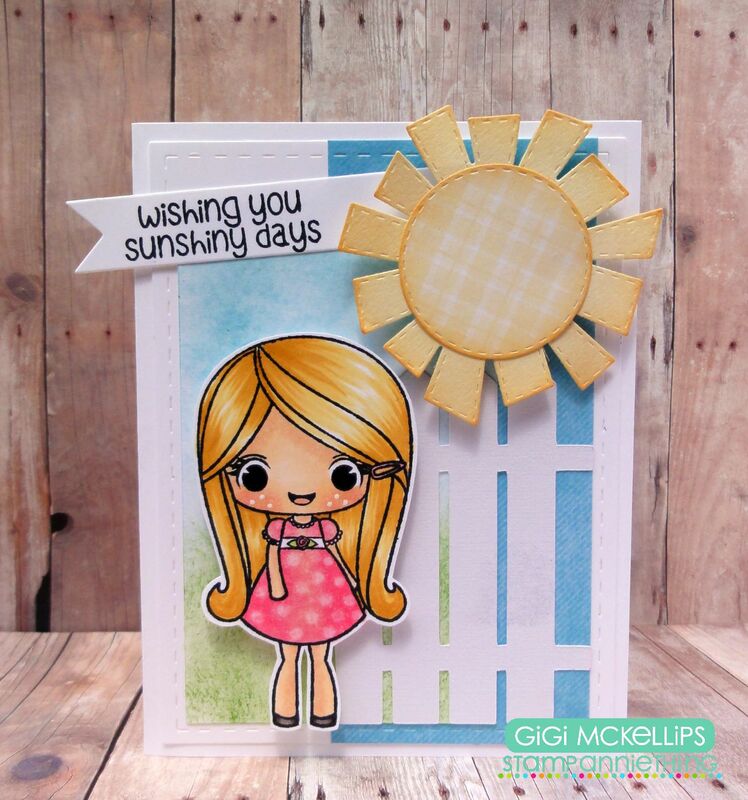 To finish, I cut the sun using the Jaded Blossom Spring Dies 2 and pop dotted the layers. I cut the sentiment banner from the Flag Dies 2 and stamped the sentiment from the Annie-Sunshiny Days stamp set. JoAnn here from JoBoogie Stamping and I've got a fun card to share with you using the adorable LORRAINE - SUNSHINE! For more details, check out my blog post HERE! Thanks for stopping by today! at Stamp Anniething!!! I had to make a card using this cute cat from the set One Cool Cat to go with the New Jaded Blossom set that was released on August 7th. SVG Cutting Files I used the Bracket Label Card Base for my card base. 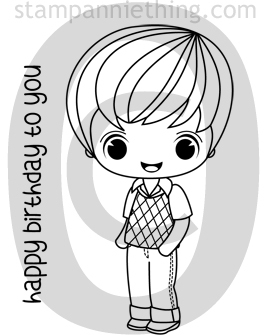 August Release Day #3 - James - Happy Birthday to You! 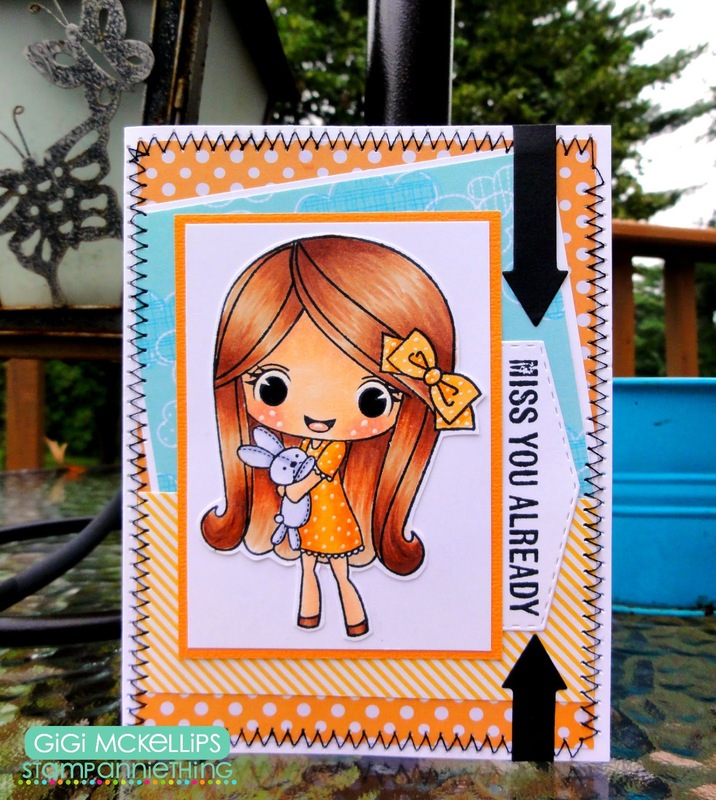 Hi and welcome to Day #3 of Stamp Anniething's August release! It is really time to celebrate and party with this release! We had countless fans asking for a boy, and so, James was born! How cute is he in his jeans and sweater? Included is a small "Happy Birthdday to You" sentiment as well. 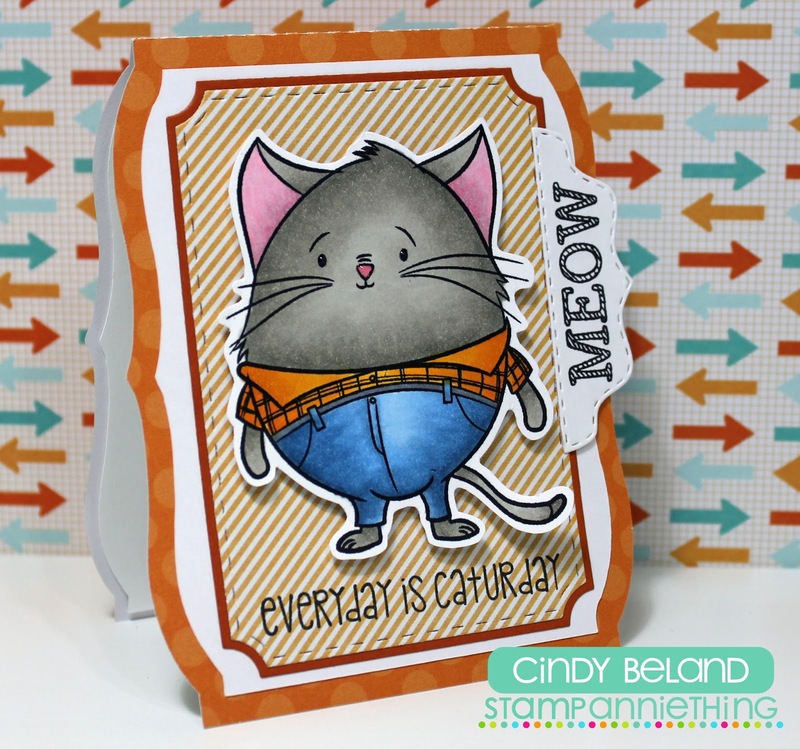 He is perfect for everyday occasions! James is available in the store TODAY along with the other 2 stamps we showed you for you this week!! The more places you comment to win, the more entries for your name! Comment on THIS blog, PLUS all the DT's blog for the 3 day release!! Check out the AWESOME creations the Design Team made with James! Stamps are available in the STORE NOW! 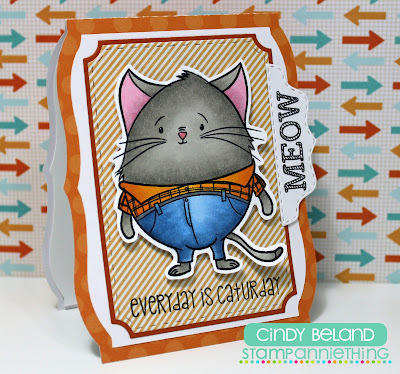 Hi and welcome to Day #2 of Stamp Anniething's August release! How cute is she in her pretty rosette party dress? 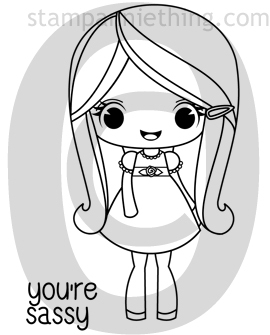 Included is a small "you're sassy" sentiment as well. She is perfect for everyday occasions! Melanie will be available in the store FRIDAY along with the other 2 stamps we show you for you this week!! Check out the AWESOME creations the Design Team made with the super sweet Melanie! August Release - Day #1 - Jemma, Party Time! Make a new friend today!! !